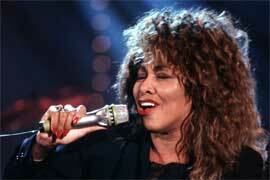 You know that Tina Turner song "Nutbush City Limits?" It’s about a real place–Nutbush, Tennessee, where she grew up. (Go on, you know you want to dance in your chair just thinking of the melody.) This week a museum dedicated to Tina’s legacy–and the community where she was raised–opens just down the road from Nutbush. The Flagg Grove School, where she spent her formative years, opens to the public this Friday after a painstaking restoration. "Her musical legacy is phenomenal, but people are also inspired by her courage and life story", says Sonia Outlaw-Clark, director of the West Tennessee Delta Heritage Center. "This pays homage to her and, just as important, preserves the history of our community", she says. 4. Visitors to the Flagg Grove School will get up close to the largest known public collection of Tina costumes and memorabilia, thanks to Tina herself. Among items displayed: the dress she wore on stage to perform "We Don’t Need Another Hero" (from "Mad Max"), one she wore for the 50th anniversary of the Grammys and in which she sang a duet with fellow Southerner Beyoncé, and the Bob Mackie dress she once wore to perform her encore — "Nutbush City Limits" of course. 5. 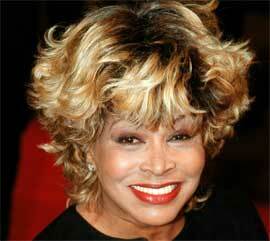 Tina Turner fans, and a dedicated group of volunteers and local residents, helped raise the $150,000 needed to restore the school to its original condition. They’ve been flocking to Brownsville for years, and for the past two years have descended on the area for "Tina Turner Days", held the fourth Saturday in September. The award for the most dedicated fan? 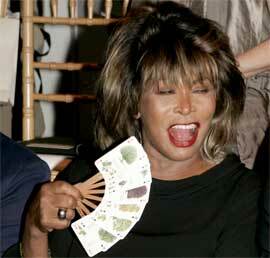 The president of the International Tina Turner Fan Club, who flies from the Netherlands to participate. 7. Other items on display: a replica of the stage from Tina’s "Wildest Dreams" tour, the 1958 Charles Sumner High School (in St. Louis) yearbook, which has her senior picture, and a copy of the letter Prince Charles wrote to her after seeing her in concert. 9. While in Brownsville, visitors can drive down the road to check out "The Mindfield", an ongoing work using remnant steel by folk artist and local resident Billy Tripp. Billy started building the sculpture in 1989 and says he’ll continue for the rest of his life. 10. Admission to the Flagg Grove School is free. And it may inspire you to start singing "Rollin’ On The River".